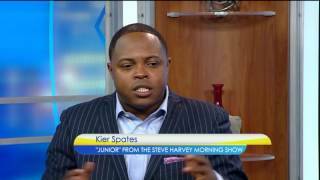 Kier Spates, a native of Houston Texas, has to be one of the funniestcomics you will ever encounter. He has traveled the globe with suchgreats as Aretha Franklin, Lyfe Jennings, Music soul Child, FrankieBeverly and Maze, Gerald Levert, Anita Baker and Anthony Hamilton. In2005, he toured as one of the primary acts on the "Rickey Smiley andFriends Show." In addition to all of this named above, he has also donemilitary tours; the USO Tours to Japan and Bahrain. Kier has alsomanaged to dominate the stage on the college scenes as well. Hisstandup has been embraced on the campuses of University of SouthernLA, Texas A&M, University of Houston, University of North Texas andTexas Southern University. The list just goes on and on. Theseperformances have commanded accolades on the Improv circuit all overthe United States.